Following the recent acquisition of an additional 6000 sq. feet of office space, Pride Park’s Oberoi Business Hub in Derby has been able to increase the availability of its high specification serviced offices. The expansion has not only attracted new clients but allowed existing clients to support their ambitious growth plans. The Oberoi Business hub has a range of service provision currently supporting more than 200 businesses with back office support for businesses ranging from start-ups to large corporations. Businesses that have outsourced the invaluable back office support through the Oberoi Business Hub have realised significant costs savings compared to the alternative of employing their own staff. New serviced office clients include specialist engineering consultants, DGauge and crowd-funding travel specialists, The Resort Crowd. Both selected the hub because of its prime location on Pride Park as well as the mind set and ethos of the team behind it. 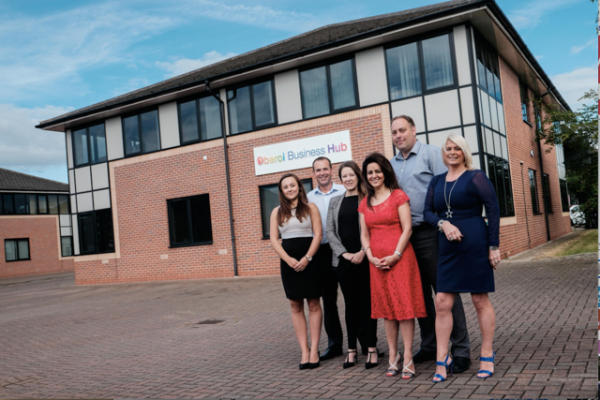 Risk management firm, RiskTec first opened their satellite base at the Pride Park Business Hub in 2013 with a small serviced office of only two people. They are now poised to expand for the third time in three years as their business booms capitalising on the recently acquired space. Founder Kavita Oberoi OBE established Oberoi Business Hub in 2012 as a way to support start-ups and SME businesses with a range of extended back office services such as a virtual office address, fulfilment, call answering services, conference room hire, virtual PAs, mentoring as well as serviced offices. “Setting up our business from the Oberoi Business Hub has proven to be one of the best decisions we made in the early days of starting out. The facilities, such as conference rooms, access to IT infrastructure, and being able to have a custom built office at the second recently acquired Oberoi Business Hub, means there has been nothing stopping us from growing and expanding our work force. “As a national service provider, location was absolutely intrinsic to the final decision about where our office should be – we already work with companies based in Pride Park, and being so close to the train station provides us with the connectivity we need as a business.